This is to infinity and beyond! I love looking at all the little details! 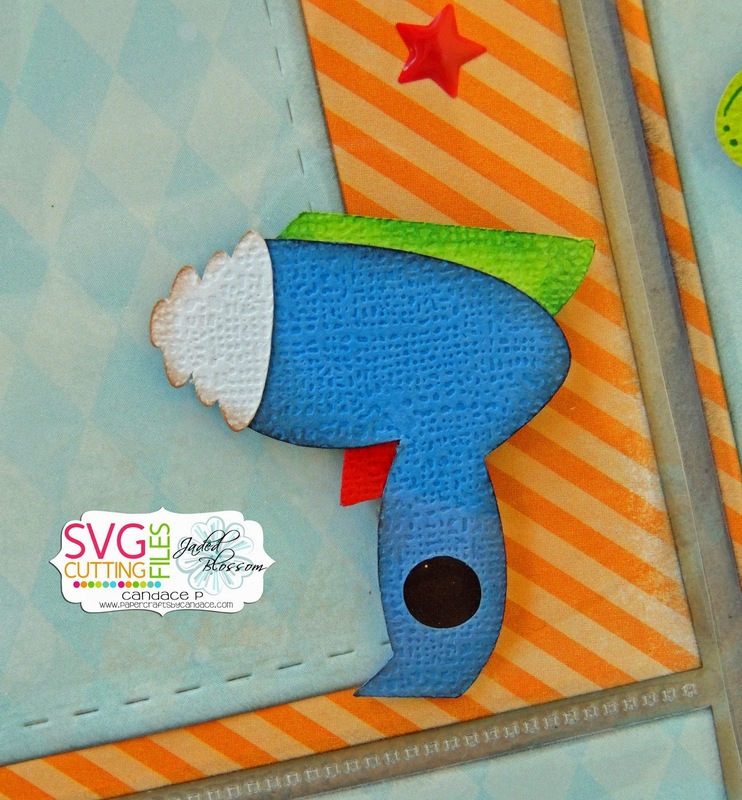 Awesome page - great blog hop again! I love how you created his helmet. This is adorable. The papers are beautiful and Buzz is perfect. I love this ride at Disneyland. I wish you lots of wins!! 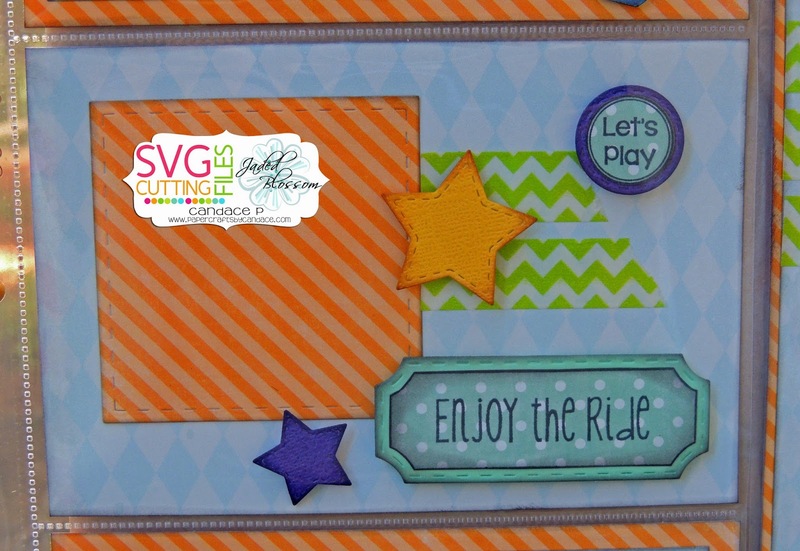 Great scrap booking layout. Buzz is adorable. 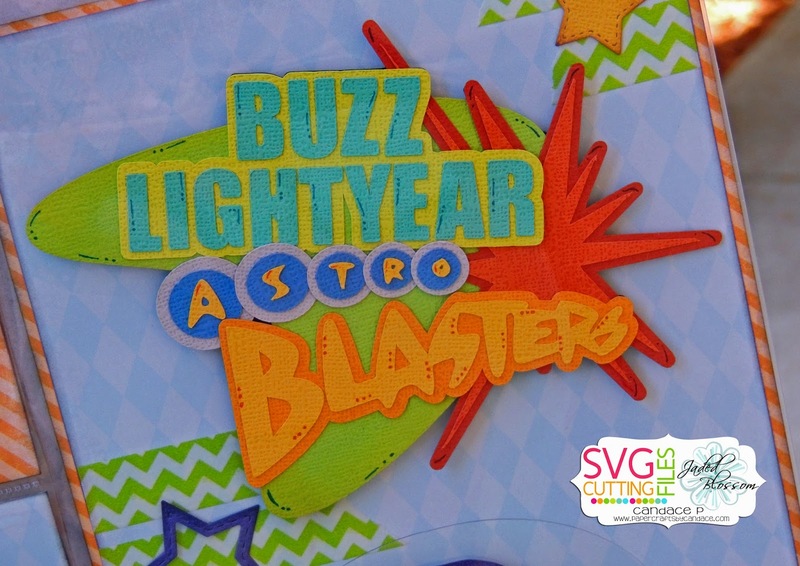 Astro Blasters is one of my favorite attractions too!! 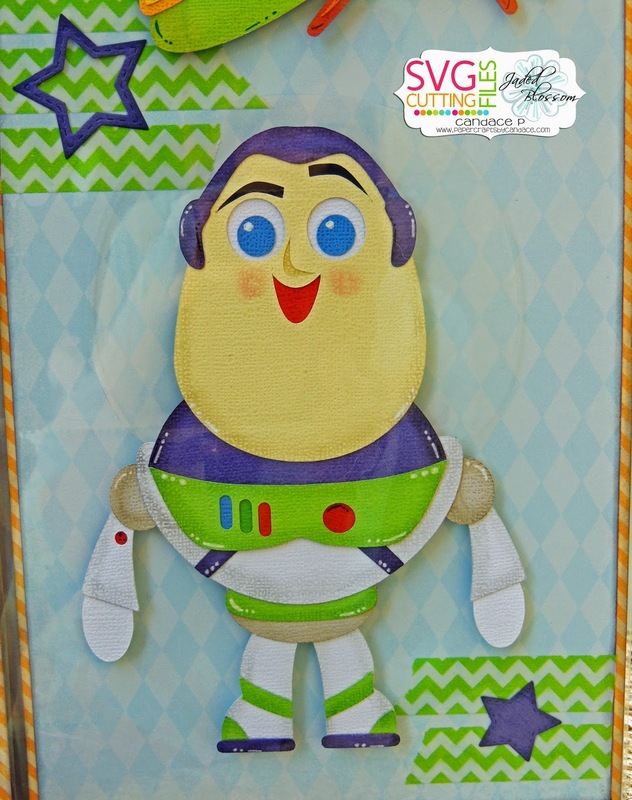 Love your awesome project -- Buzz is too cute!! Wow, this is amazing. Lots of detail on this one! Ah, Buzz. My hero. Love him. 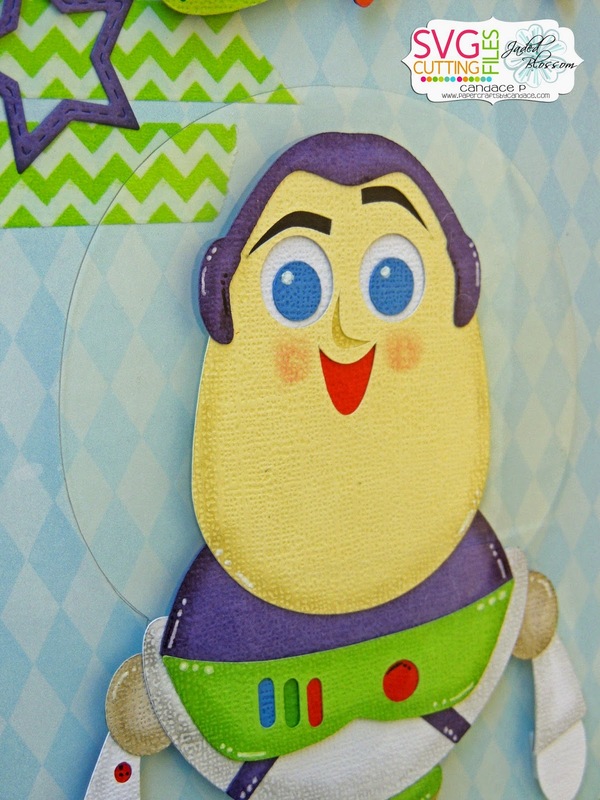 How forsaking cute is Buzz Lightyear?!!! What another great hop you hard working ladies put on for us! I feel so totally spoiled by you ladies. Thank you! 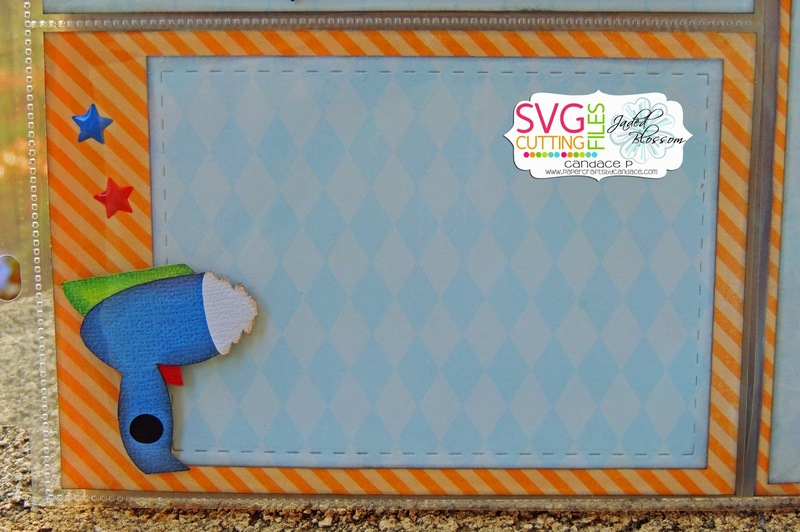 who doesn't love toy story cute..
Love this project life page. Love Buzz. Those eyes just pop out at you. Thank you for sharing. Absolutely fantastic project life spread! Love this! He is awesome. Love him. Great job. Buzz is awesome!! Darling page layout!! Adorable Buzz. Nice fun bright colors. Love, love, love your project! I also love Disneyland, good luck on the wins. Thank you for sharing your awesome project. Great Project Life page! Love Buzz! Love the dimension of this! Fantastic work! This is AMAZING Candace!!! Buzz is my all time favorite!!! SOOOOOO CUTE!! TO INFINITY AND BEYOND! LOVE THIS HOP!!! This is my fave! Love this layout! This project is by far my favorite. I love the colors you chose. Amazing job. To Infinity and Beyond! Love this layout. Absolutely wonderful project. Hope you have the best time ever at Disneyland!! The best - love it all! Thank you! I love Buzz! It's nice to see a PL type of layout! Great job! Bwahahha, this is great and I wish you all the success in having some wins to document. I love it Buzz is great! Totally cute, infinity and beyond! perfect for my recent Disney trip!! Wow! love the colors that you used. ooh love this layout! have fun at DL! Love him! My favourite part is his helmet. He also reminds me a bit of Mr.Incredible from the Incredibles. Gotta love good ole Buzz! Wished I would have had this one last night for a party so cute! Love Buzz. You did fantastic. I love Buzz. he's the man! You guys def saved the best for last! Great job, very cute! Good luck on winning a few of the games! without a doubt my favorite! I love Buzz!!! Great Layout! Love Buzz Lightyear!!!!! Perfect for Disney vacation!! prefect for our family scrapbook! To Infinity And Beyond! Love it! Now all we need is a boy in the family... Have all granddaughters and another grandchild on the way (maybe this will be our boy!) Thank You! love buzz lightyear. we love the ride at hollywood studios. i have a few photos that this would be great for! just need to find them and print them. thanks so much for sharing!!! WOW, WOW, WOW! This is great! That Buzz Lightyear is perfect! This was such a super fun hop. Fabulous job as usual!! love buzz light year, love how you set this out. what a great set! he's adorable!!! Buzz Lightyear to the rescue!! Wow I'm really excited about this one!! Love your idea!! What beautiful attention to detail.. I love the helmet and shading of cheeks etc. Buzz is so stinkin cute!! Great LO too! Super fun project! Too cute! Candace, this is SOOOO FLIPPING AWESOME!!! I CANNOT get over it!!!! LOVE LOVE LOVE this!!! We did the Astro Blaster in Disney Land as well! It was great!!!! Cute! My grandson love Buzz! Love this! I am a scrapbooker and not a card maker so it was fabulous seeing a page done! I can't wait to add these to my Disney pages!! Beautiful, there is so much detail in your work. Have a great trip to Disneyland ! Love the layout, Buzz, the helmet, title and all the details. Love the Project Life page. What a great idea. Buzz is the best! Great work! OMGeee! What a perfect layout! Makes me want to go to Disneyland!!! Great job! Love all of your attention to detail. Super fun Hop!! Thank you! Love Buzz. He is sooo cute. WOW so an awesome Buzz layout. I too love the acetate for the helmet!! OMG! this is so awesome!!!! Fantastic project life page! The details are so fun and love Buzz!!!! So cute! This is fabulous! And I love that you did a PL page!! Such inspiration! I have all the PL, but haven't taken the plunge yet! lol Thank you! This is cute and colorful. Have fun! Love the details to the scrapbook page. Great hop as always. Thanks for all the inspiration!! yay, another Toy Story character! thanks for sharing! What a cute idea for a page. Hope you get to win at least a few times. Thanks for sharing. I LOVE TOY STORY (as I've said at least once before in this hop!!). Thank you for BUZZ! He is FANTASTIC!! Such a fun page and way to document your trip!! Enjoy your trip to Disney!! A great job. Love it. wow! your page looks fantastic and I am loving Buzz!! Another awesome hop!! Great projects! Buzz is awesome! Snif, snif. The Hop just finished! Great projects. Wow! Totally speechless. Amazing work! The idea for his helmet is great. Nice touch. Thanks. buzz is great and works perfect with the freebie from earlier! OMGosh! OMGosh! Your project is my fav of the whole blog hop!!!!! My son was a hige fan of Buzz when he was little and we have soooooo many pics of him at Disney on the ride, dressed as Buzz for Halloween, and playing with Buzz toys. I absolutely love your layout and hope to CASE it right down to the acetate helmet!!! L.O.V.E! Love Buzz and great job on the helmet. It's perfect. Beautiful job on your layout. Not only on the files, and the page, but the photography is so great. I cut off heads, so this is above and beyond. You made my son's day. Your Buzz is fantastic! What an amazing job! Wow, that is a fantastic page! I cant wait to use this have pics from this ride to!! So Cute, love all the ideas! Love Buzz. Have fun at Disneyland! Amazing layout! Love, love it! GREAT job. Astro-fabulous job! Hope you beat the pants of your husband! I'm competitive too, it's healthy, right? LOL! 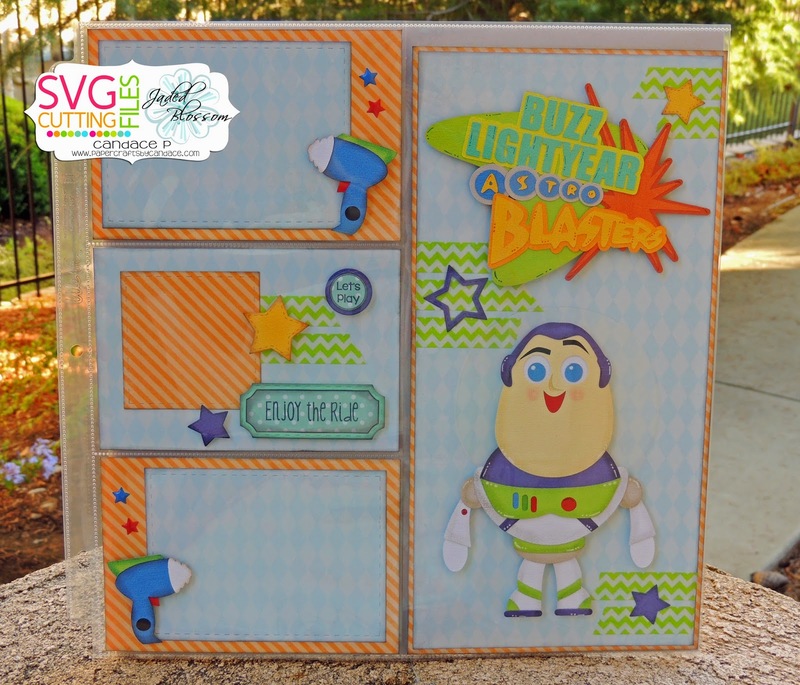 What a fun layout and Buzz is too cute! What a great little Buzz.